Elsabe Oldswager was born on 14 February 1832 in Holstein. She was known as Elsie. Henry Sierk and Elsabe Oldswager arrived in the Port of New York circa 1853. 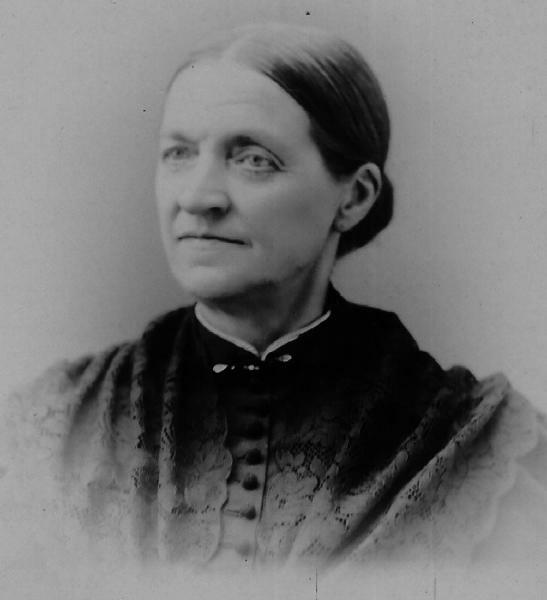 She married Henry Sierk, son of Jacob Sierk and Wiebke Volkens, on 8 February 1853 in New York City, with Rev. Mr. Stohlmann officiating. Henry Sierk and Elsabe Oldswager appeared in the US federal census of 1 June 1860 in Bennington, Wyoming County, New York. Other members of the household included Wiebcke Catherine Sierk, Jacob Sierk, Marcus Sierk, Anna Sierk, John Sierk and Marcus Oldswager. Nephew Marcus Oldswager also is enumerated in the Bennington household of his parents. Henry Sierk and Elsabe Oldswager, appeared in the US federal census of 1 June 1870 in Bennington, New York, living next to Elsa's parents.. Other members of the household included Wiebcke Catherine Sierk, Jacob Sierk, Marcus Sierk, Anna Sierk, John Sierk, Henry Sierk Jr., Claus Sierk, Ida Sierk, George A. Sierk, Mary Sierk and Lena Sierk. Henry Sierk and Elsabe Oldswager appeared in the US federal census of 1 June 1880 in Bennington, New York, living next to Elsa's parents.. Other members of the household included Jacob Sierk, Marcus Sierk, Anna Sierk, Henry Sierk Jr., Claus Sierk, Ida Sierk, George A. Sierk, Mary Sierk, Lena Sierk, Elsie Frances Sierk, Augusta Sierk, Emma Sierk, Williiam Sierk and Frederick Sierk. Daughter Ida also was enumerated in Darien Center, where she was employed as a domestic servant. The following appeared on 23 May 1881 in The Daily News: (Attica) Died -- In this village May 21, of Diphtheria, Willie, son of Henry Sierk, aged 8 years. The following appeared on 16 January 1888 in The Daily News: It is reported that Henry Sierk, Sr., of Attica has left for parts unknown, accompanied by a female companion. Deeds were recorded at Warsaw on Thursday quit claiming five pieces of land, containing 318 acres, to his wife. Henry Sierk and Elsabe Oldswager appeared in the US federal census of 1 June 1900 in Bennington, New York. Other members of the household included Claus Sierk, Frederick Sierk and Augusta Sierk. 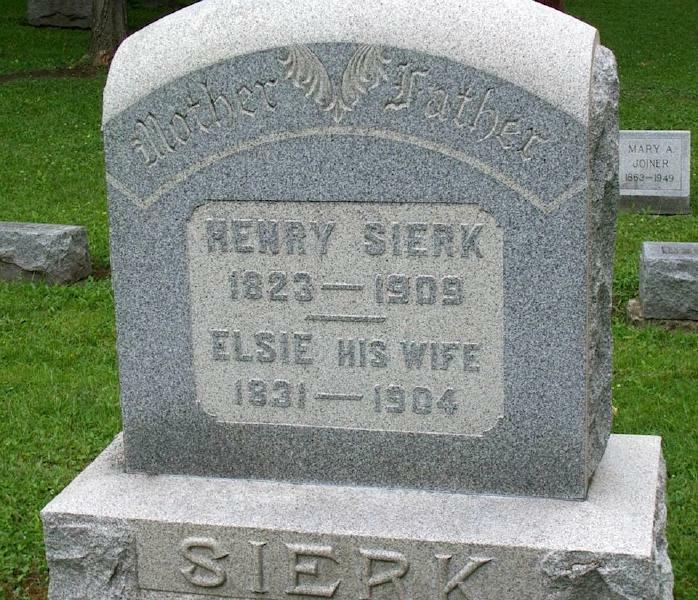 Henry Sierk became a widower at her death. Elsabe Oldswager died on 18 February 1904 at age 72 in Wyoming County, New York. A single grave marker identifies the graves of Henry Sierk and Elsabe Oldswager.